Music is a very important part of Remnant Fellowship Church because the power of God’s music to change your attitude and to heal is true. This music moves us to focus on and worship God. When you are ready to change, you want the music that is from the Heavens. Almost all songs are original and are written out of the overflow of the heart from a changed life, due to the teachings of Gwen Shamblin through Weigh Down Ministries and Remnant Fellowship Churches. Michael Shamblin, son of Gwen Shamblin, has been writing music since 1998, inspired from his mother’s teachings. Over the last 14 years Michael has continued to write music that encourages obedience to God, and the other Remnant musicians have followed suit. This music is a part of every Remnant worship service and helps to inspire daily change in the lives of countless people. from Auckland Uplifting and inspirational! This uplifting collection of music featuring various artists will have you raising and clapping your hands, dancing around and smiling as you listen. 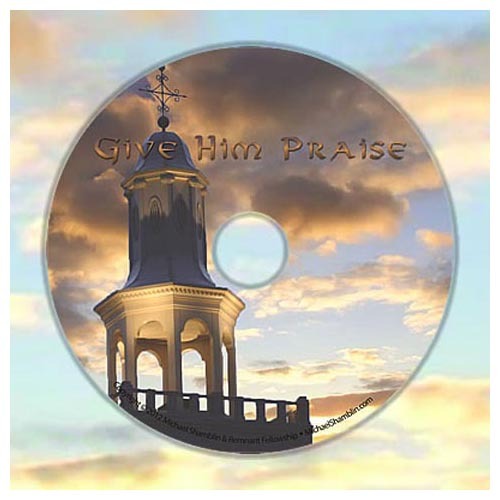 Guaranteed to help you flip any potentially-negative situation or tackle any chore with joy as you praise God!